Microsoft has today announced the public release of Windows 10 IoT Core for the Raspberry Pi 2 and the MinnowBoard Max and have made the files available to download from the Windows IoT Dev Center. Microsoft announced the impending release of the new Windows 10 IoT Core earlier this year, that has been designed for the new new edition for Windows and has been created for small, embedded devices such as the Pi and can be used with or without screens. For devices with screens, Windows 10 IoT Core does not have a Windows shell experience; instead you can write a Universal Windows app that is the interface and “personality” for your device. IoT core designed to have a low barrier to entry and make it easy to build professional grade devices. It’s designed to work with a variety of open source languages and works well with Visual Studio. 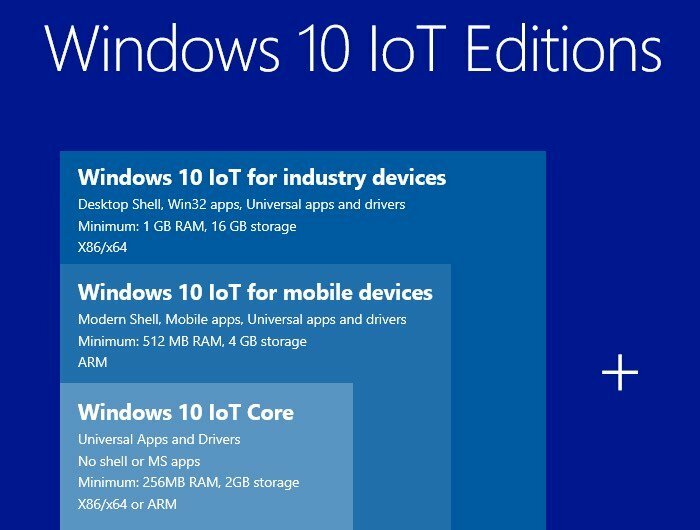 For more information on the new Windows 10 IoT Core jump over to the Microsoft website for details.